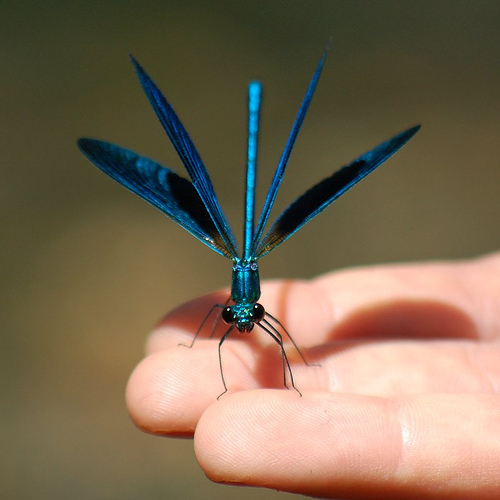 This is the Beautiful Demoiselle, Calopteryx virgo, a kind of damselfly. It is apparently found in Britain, although I’ve only seen its less spectacular but still gorgeous relative, the Banded Demoiselle. » ‘Blue Damselfly’ is © Annamaria Kaiser and used under a CC by-nc-sa licence. 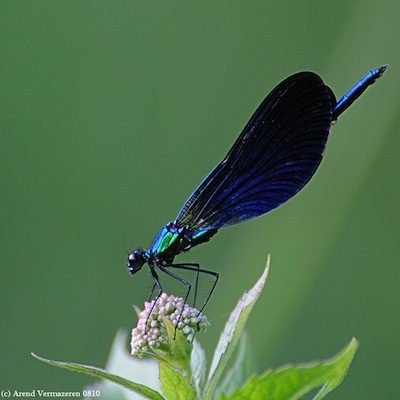 ‘Bosbeekjuffer – Beautiful Demoiselle male 2’ is © Arend Vermazeren and used under a CC by licence. An amazing and gorgeous creature.